What to Do After a Spinal Cord Injury in Florida | Law Office of Andrew G. Rosenberg, P.A. Currently, there's no cure for complete spinal cord injuries. However, there are things you can do to protect your physical and financial recoveries. Not all spinal cord injuries are the same, but they're all medical emergencies. You need both immediate and ongoing medical care to manage your physical symptoms and to keep your injury from worsening. Experimental medical treatments may also be used. Spinal cord injury treatment can be expensive, and you might be unable to work due to your injury. It's important to consider your future financial wellbeing. 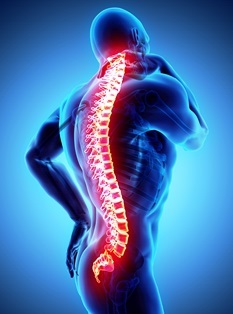 The damages you suffer as the result of a spinal cord injury can be significant. According to the Christopher and Dana Reeve Foundation, the direct lifetime costs of a spinal cord injury range from $1,113,990 for a 50-year-old with incomplete motor function to $4,724,181 for a 25-year-old with high tetraplegia—which is some degree of paralysis in all four limbs. These numbers are in 2014 dollars and include only medical costs and living expenses. Lost income and pain and suffering could significantly increase the financial damages for an individual with spinal cord injury. If someone else’s negligence caused you to suffer a spinal cord injury, you may be able to pursue legal action to recover for your past, current, and future medical expenses, lost income, out-of-pocket costs, pain, and suffering. At the Law Office of Andrew G. Rosenberg, P.A., you'll be treated like family. Attorney Andrew G. Rosenberg will take the time to understand just how your injury has impacted your life already and what your future is likely to be. He'll answer all of your questions so you can be prepared for what comes next, and he'll fight hard for your fair settlement or court verdict. Contact us today for a free, no-obligation consultation.